Karen Upper of Sundridge, Ontario, is one of the great champions of children's books in Canada. She is the teacher-librarian in five schools in the lake country north of Huntsville, where the students catch her enthusiasm for writers and writing. I first encountered Karen by googling my own name to see whether my books had overtaken my work as a speechwriter in the search algorithms. 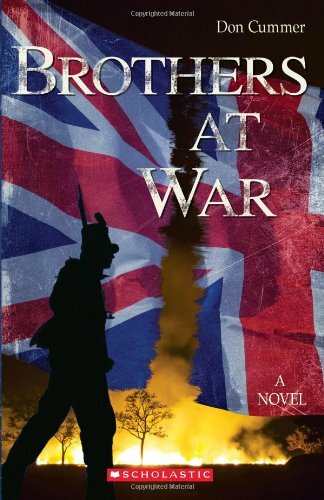 Imagine my surprise when I discovered that one of the top listings was a blog called "Recently Read" that contained video trailer that someone unknown had prepared for Brothers at War. 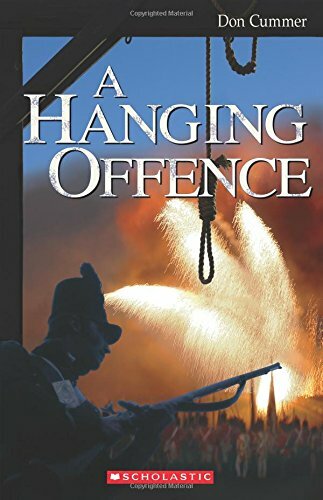 I can't begin to say the emotions that swept over me when I saw that someone, somewhere out there in cyberspace had responded so sensitively to my story about boys growing up on the eve of the War of 1812. I contacted Karen to thank her, and we met at the Ontario Librarians Association superconference soon after. We've been friends ever since. One of her students, Kevin, provided the best review of a book I think a writer is ever going to receive: "I loved this book so much that I had to give it to my friend so I could do my homework," wrote Kevin. "Then I read it in the bathroom so I could finish it in peace." With Karen's help, Kevin and I maintained a written and video conversation about the Jake and Eli stories. 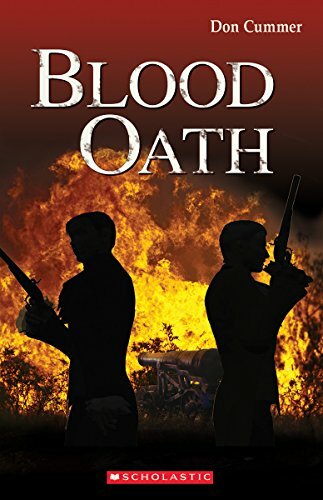 He provided a glowing video review of Blood Oath -- his number one favourite book. Here in the final weeks of June, Kevin is finishing grade 8 and will go to a different school next year. "Mrs. Upper" is hoping that he'll keep in touch. She and I began to plan for me to make an unannounced visit to Kevin's school, and in mid-April, with snow on the ground north of Huntsville, I made the drive from Ottawa. Karen and her husband, George, showed me around their farm where they raise chickens and rabbits, and toured me around the backroads of that little piece of lake country paradise. The following morning, I waited in the library while Kevin was asked to report to Mrs. Upper. The look on his face when he saw me there was worth the five-hour drive! I made a presentation to Kevin's class about how to ramp up the conflict and tension in a story, and afterwards had a great chat about writing with Kevin and some of his classmates. Best wishes for high school, Kevin! And may you maintain your passion for reading and for history.